The wide receiver class in the 2019 NFL Draft isn’t especially star-studded. There’s no prospect at the position that screams “can’t-miss superstar,” nor is there a wideout likely to be taken in the top-five ala Corey Davis two years ago. However, while the Class of 2019 at wide receiver may not be especially top-heavy, it is rather deep—there are a number of Day 2 pass-catchers who could make an early impact both in the National Football League and fantasy football. 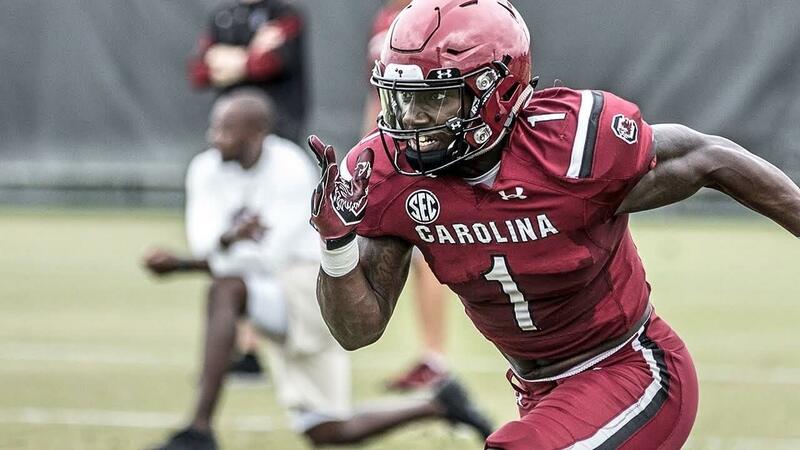 One of those Day 2 wideouts who tore up January’s Senior Bowl in Mobile Alabama was South Carolina’s Deebo Samuel. Lance Zierlein of NFL.com was one of many draftniks who came away from Samuel’s practices in Alabama impressed. SB Nation’s Bernd Buchmasser thinks that the 5’11”, 241-pound Samuel, who caught 62 passes for 882 yards and 11 touchdowns a year ago, might just be the best route-runner of any wideout in this year’s draft. Brad Kelly of the Draft Network, on the other hand, allowed that Samuel’s lack of elite size or straight-line speed may make it difficult to win consistently on the boundary as a true No. 1 wide receiver. As a No. 2 though? The sky’s the limit. 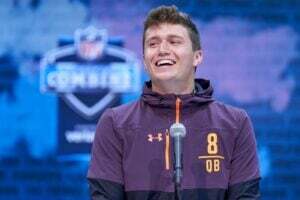 Per the State’s Josh Kendall, ESPN draft guru Mel Kiper believes there’s very little chance that Samuel makes it out of the second round—and it’s not out of the realm of reason that a playoff team from a year ago takes Samuel late on the draft’s first day. To be fair, Samuel didn’t exactly light up the stat sheet in Columbia. He’s not especially fast. Or especially big. He’s not a physical freak ala DK Metcalf of Ole Miss. And as such, he may be a fair bit closer to his fantasy ceiling than some of the other pass-catchers in this crop. But his floor. Oh man…his floor. In dominating some of the best cornerbacks in this draft class at the Senior Bowl, Samuel hammered home the fact that he’s the most NFL-ready receiver in this class. He’s a polished route-runner with excellent technique and impressive physicality. And as his 4.48-second 40 time at the combine demonstrates, Samuel isn’t exactly running in mud either. Yes, Samuel might not have the highest long-term fantasy ceiling of any wide receiver in this class. But if he lands in anything resembling a favorable situation to begin his NFL career, he has a real chance of making a significant statistical dent from Day 1—especially in PPR formats. As a matter of fact, it wouldn’t be any kind of huge upset if Samuel leads all rookie wideouts in PPR fantasy points in 2019. If you’re a redraft owner looking for an upside WR4, a team in search of a third starter or flex in dynasty startups, or a dynasty playoff squad in search of instant impact late in the first round of rookie drafts, you could do a lot worse than the Senior Bowl’s biggest standout. And depending on his landing spot, he may slot quite a bit higher than that.